Who is riding? Now that you've decided you want to move more than just yourself by bike a new category of cycling awaits. 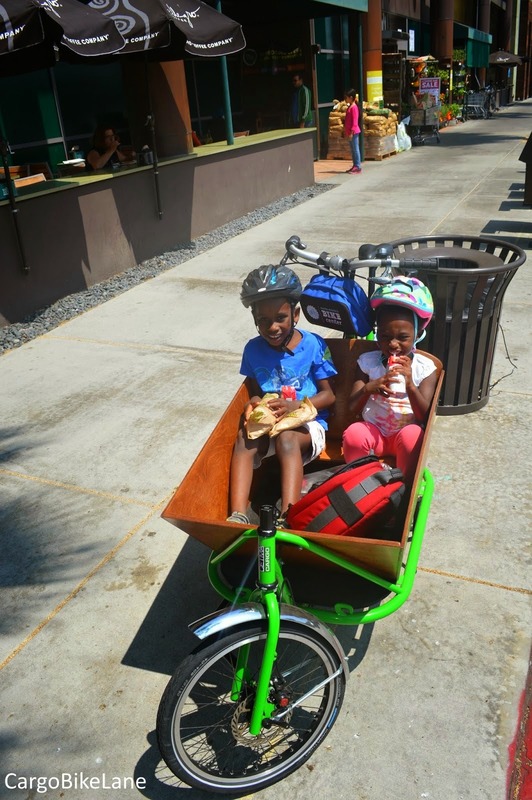 If it is just you and the kids great, bakfiets and cargo bikes provide a range of excellent solutions. Since kids and food go hand in hand maybe there will be some grocery shopping done as well. You should still be fine with a kid 1st bike. Objects like dishwashers, stoves, and lumber are all doable. For a wider range of a bike with removable kid seats or cargo box may be a better choice. Where is the load? Now that we know who and or what will be a typical load we need to know where to carry it. Long Johns and tadpole trikes carry loads in front of the pilot. Long tails as the name suggests, carry loads behind the pilot. Smaller children and larger boxes seem to fair better in long johns or trikes. Having kids in front makes for better conversation and peace of mind to know what they are doing. Having long narrow items like surfboards and 2X4s are better suited for long tail bikes. 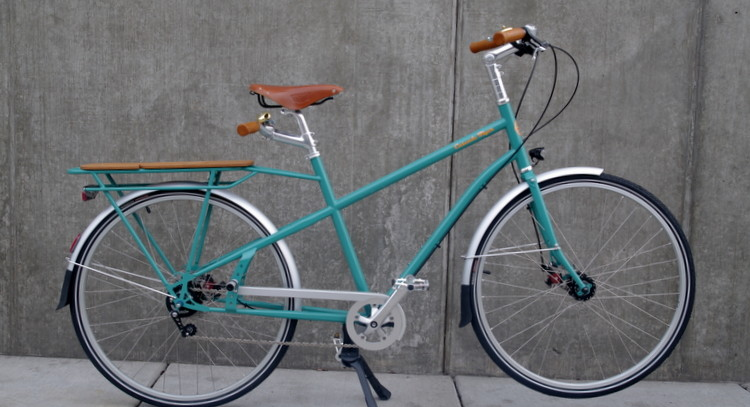 Long tails have the same width as a traditional bicycle which can make things easier. Longtails have traditional steering so the learning curve is well, not really a curve at all. Where will I park this beast? 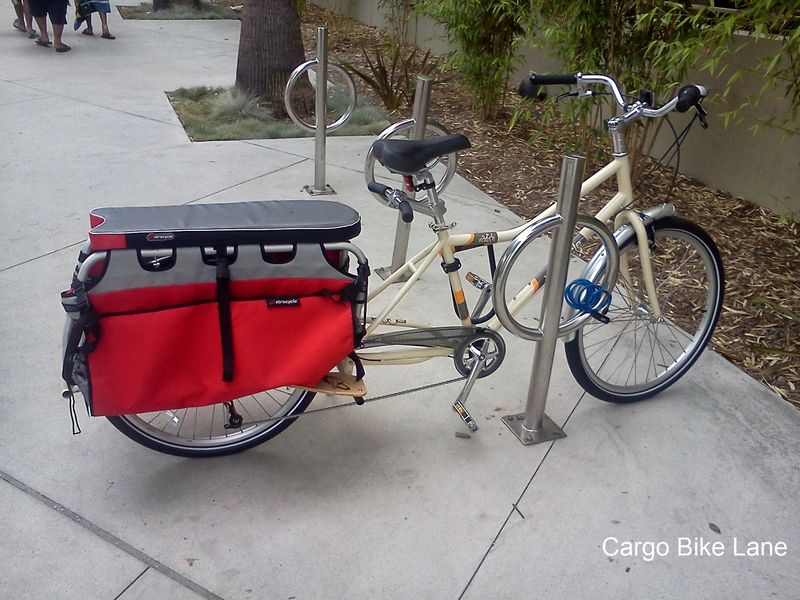 Most cargo bikes are longer and often wider than standard bicycles. Given the dimensions they are all heavier than a similarly sized standard bike. Stairs and long johns won't play well together. Anything with long in the name is going to be a challenge even if you have an elevator. Don't be discouraged, there are several choices among cycle trucks and midtails. Where are you kickn' it? When at rest the simple kickstand you grew up with won't cut it. Trikes have three wheels so you won't have a problem there. Long John's have a beefy two legged support. I can't call it a kick stand because not only do you have to push it down with your foot you have to rock the whole bike back to lock it in place. It is much easier than it sounds and incredibly stable. Other bikes have a small two legged kickstand where a traditional one would reside. Test these carefully with the bike loaded, just not with kids as some are better than others. Where will I be riding? Stop and take a good look at where you ride. Every hill will feel a bit steeper on a loaded cargo bike. Living in a pancake flat town gives you many choices. Dense urban areas may call for agile steering through traffic. Understanding your geography will help determine they best set-up for you. Pure human power or electric hybrid? The choice to add an electric motor comes from a good assessment of your personal fitness level and budget. Pilots who are in good shape living in relatively flat areas can forgo the extra juice and save some dough. If Lombard St. is on your map your bonus will be well spent on electric assist. External or internal gears? Choices abound when it comes to changing gears. Traditional rear cassettes / derailleur combo offers a wide gear range. It also gives you option on where to install a hub motor if you go that route. Internal hub gearing is a virtually maintenance free option. They usually come in 3 speed, 8 speed, and infinitely variable options. Ride everything you can and ask questions especially if you are considering electric assist. How will I accessorize? Bags, slings, canopies, foot rests, child seats, seat belts, lights horns, and on and on. 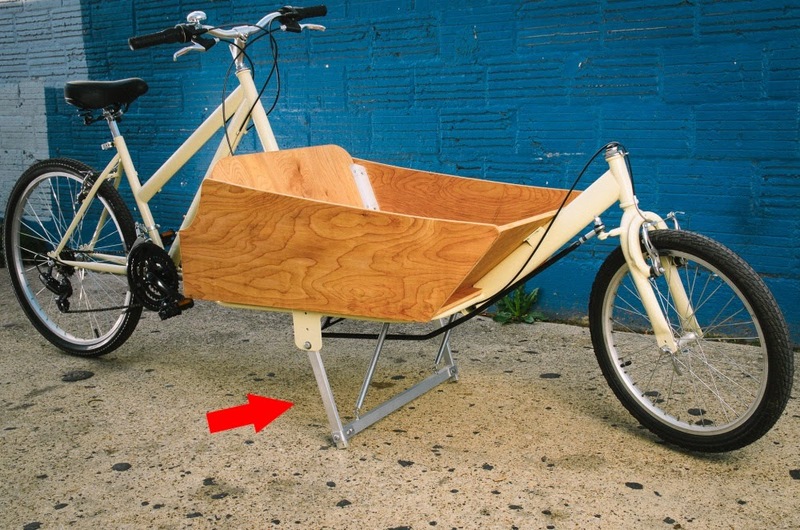 You can really fine tune your cargo bike experience by adding the right extras. Speaking of extras, longtails that are Xtracycle compatible are part of a large system that can be mixed and matched to meet your needs. Long johns and trikes have options for kid seating, rain covers, lock boxes and more. Now you might be thinking this is an awful lot to consider for a bike. Please don't be overwhelmed. 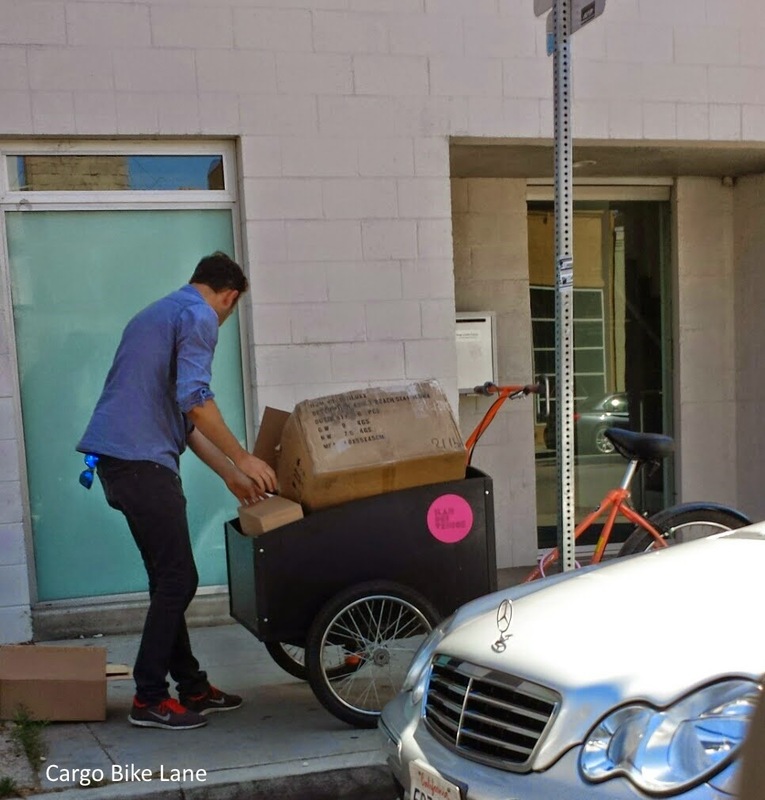 Follow along at Cargo Bike Lane for detailed answers to these questions and more. Answers will come from everyday cargo bikers, reviews, and direct from the manufactures themselves. We are here to help. 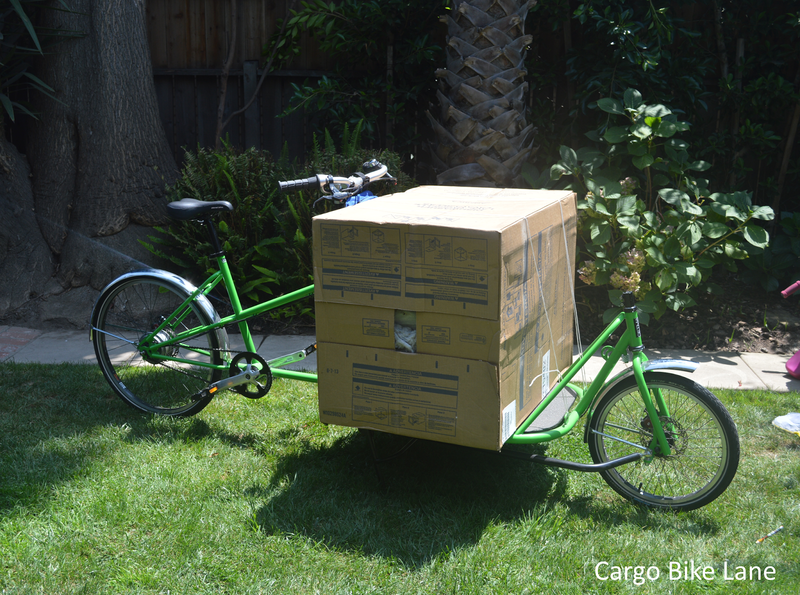 What questions would you ask before investing in a cargo bike? Veterans, now that you have been riding a while what would you do differently during your selection process?